Built on top of a long modeling and simulation heritage, OneSky analytical tools allow for design and testing of the complex concepts and systems involved in operations. 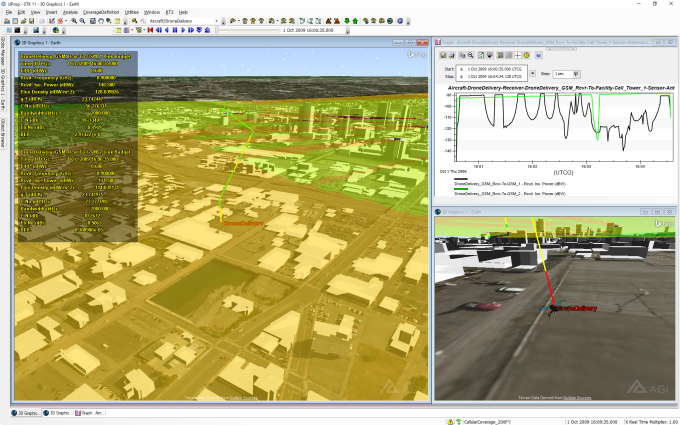 From planning performance driven flight routes, considering satellite systems, modeling radars or even understanding the effects of terrain and urban environments on communications systems, OneSky brings proven systems modeling expertise. We apply these safety-of-flight analytics to concepts of operation and supplement operation waiver requests with detailed analytics. Interactively plan your simulated flight paths within the 3D environment. Reference platform-specific performance characteristics to ensure realistic flight profiles. Design payloads and explore performance metrics such as camera coverage, ground sample distance, image overlap, etc. Analyze the effects of buildings and urban landscape on communications systems. Advanced RF analysis libraries provide hi-fidelity time dynamic modeling of communications systems. Model the theater of operation by defining antenna types, power/freq, and even dynamic pointing & tracking equipment to understand the quality of GCS equipment links. Predict radio equipment effects along planned routes as well as across broad areas. 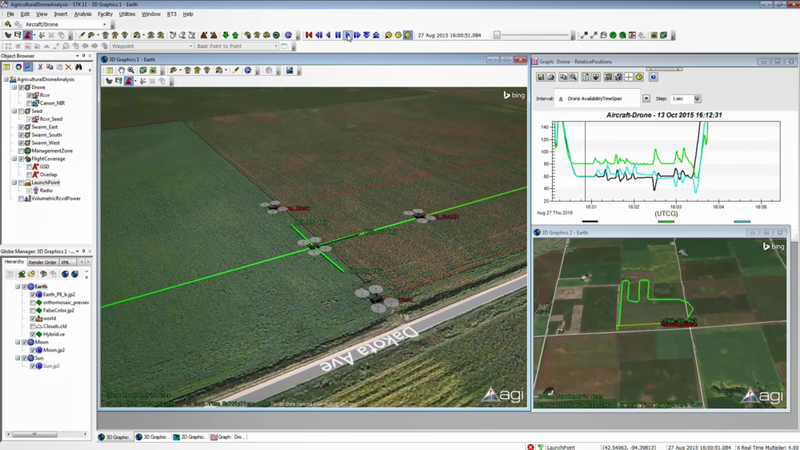 Plan for equipment placement to optimize link quality for telemetry systems and command/control links. Easily simulate multiple vehicles and explore the relationships among all modeled assets. Use the time-based 3D geometric engine to easily validate and monitor both system dynamics and positions, rates, angles, etc. Open API's allow for direct realtime integration, opening the possibilities for integrators and developers to create advanced custom C2 systems built on top of native modeling & simulation capabilities. Whether you need hi-resolution terrain data, building shapefiles, or just about any other GIS data set, our analysis tools can support you! We work seamlessly with almost any industry standard data format, allowing our analytics to produce hi-fidelity results. Let us help you understand and model your conceptual mission plans in high fidelity. OneSky's modeling & simulation tools will bring your mission planning and flight safety considerations to a new level! To get started, contact us today!